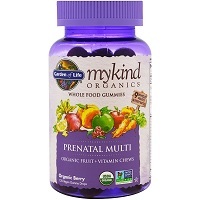 Comprehensive review of Garden Of Life MyKind Prenatal Gummy. See what real experts and actual users have to say about this prenatal vitamin. Overall, I love this prenatal vitamin. It excels it most areas, but could include a few more ingredients. To start off with, they taste SO good. They’re fruity and berry; they remind me of fruit snacks. I actually looked forward to taking them daily. The price is also good, you can’t beat it. The ingredients are pretty good, but I still found it was lacking a few essential vitamins I look for in my prenatals. But it has a good amount of Folate, Vitamin K, and many others, which I’m pleased to see. All in all, these gummies are very good, I love them! These are prenatal gummies, and you need to take 4 per day. Now, 4 sounds like a lot, but once you taste them, you’ll wish you could eat more than 4. The directions say to take them with food. I took them with food and had no problems with nausea or digestion, so I’d follow the instructions. I found them overall very easy to use. Not only that, but I looked forward to taking them. These taste so good! They remind me of gummy fruit snacks. I could easily snack on these all day, they’re that good. They don’t even taste like vitamins to me. They have a berry flavor that I think most people will enjoy. The ingredients in this prenatal vitamin are pretty good. Although it is lacking in a few areas. To start, it has a great amount of Folate, which is one of the most important (if not THE most important) vitamins to get while pregnant. 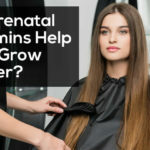 It has 600mcg, which is an average amount that’s included in many prenatals. It also contains a great amount of Vitamin K, which is vital for blood clotting and the formation of baby’s skull and brain. A lot of prenatal vitamins don’t include any Vitamin K, so I’m very pleased to see that Garden of Life gummies include it. Now, it is lacking in a few areas. It has lower amounts than I’d like to see of Vitamin A, B1, Niacin, Vitamin E, and Zinc. It’s not overly low in any of these, just a little low. It’s doesn’t have any Choline, Calcium, Iron, Iodine, or Omegas. A lot of prenatal vitamins don’t include Omega-3s, so I’m not that surprised there. But I do wish it included at least some Choline, Calcium, Iron, and Iodine as these are crucial for your developing baby. You’ll need to either supplement these through your diet or additional supplements (as always, check with your OBGYN first). So overall, the ingredients in these gummies are good, but not perfect. 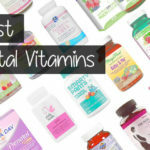 I still have yet to find the perfect prenatal vitamin! I didn’t experience any negative side effects while taking these, which is awesome. I even ended up taking them on an empty stomach a few times and still didn’t have side effects (although I wouldn’t recommend doing this). This vitamin sells for $21.49 per bottle. That works out to only $0.72 per day, which is a very reasonable price for this prenatal vitamin. I purchased these through Nutrition Express, and they unfortunately don’t have a guarantee. I’d recommend looking elsewhere for somewhere that has a guarantee. To buy Garden of Life MyKind Prenatal Gummy, click here. Ease of Use Easy to use, chew 4 gummies per day. Taste They taste so good, like berries. Ingredients Has good ingredients but is missing a few things.